Foxconn, the largest contract electronics maker in the world and a major supplier for Apple Inc. is planning an investment of over $10 billion in a factory that will make displays. The plant will be in the U.S. and next month Foxconn will announce its location. The company, which is based in Taiwan, has looked at investing in the United States for quite a while and Terry Gou, its CEO, has said on previous occasions that the company had hoped to spend more than $7 billion to construct and equip a display making factory in the country. The U.S. does not have a single panel-making plant in the country, but is the second largest market worldwide for televisions. Foxconn, known formally as Hon Hai Precision Industry, currently is considering Ohio, Michigan, Wisconsin, North Carolina and Pennsylvania as possible locations for its plant, Gou said to reporters following the annual meeting of company shareholders on Thursday. Gou said that during July the company would decide where it will build its plant adding that the company would be investing the money over a period of five years. 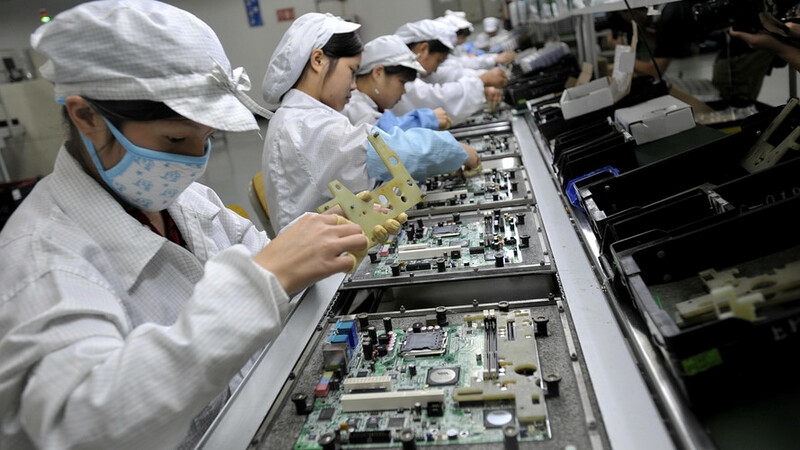 The company operates a number of factories across China, where it had over 1 million employees and makes the majority of iPhones for Apple, but to date has not invested in manufacturing in the U.S.
Gou told company shareholders during the meeting that it was time to go to the U.S. and not only to build a plant, but to move the full supply chain, but did not provide any further specific details. While its new plant would create new jobs, Gout said it would not have the number of employees as the company’s factories do in China, as the cost of U.S. labor is far higher and the plant use a great deal of automation that it will rely upon. President Donald Trump called for companies to invest and build more in the U.S. He had said on several occasions since he was elected last November how important it for both domestic and foreign manufacturers to build in the country which builds on his campaign pledge of creating and preserving jobs in the U.S.
CEO at Foxconn’s Sharp Corp in Japan Tai Jeng-wu said that six states in the U.S. were being considered for a possible building site for the plant to make displays. Foxconn already has an operation in Pennsylvania.